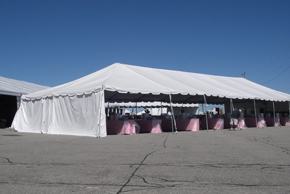 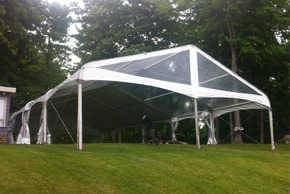 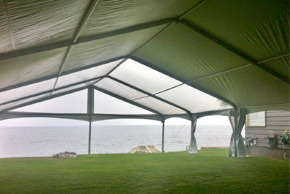 Sizes range, depending on style of tent: Pole Style can expand in 15′ increments and Frame Style can expand in 10′ increments. 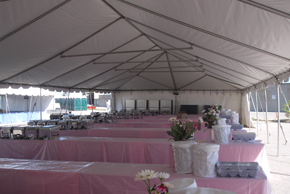 Excellent for gatherings of 80 to 150 people. 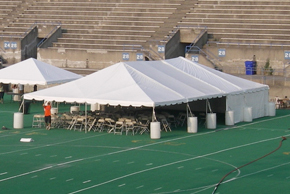 Frame Style is ideal for setting up on tennis courts, or whenever a tent is needed for larger installations on difficult ground.